There is never a wrong time to set our minds on eternity. Often I find myself wondering if I’m prepared, wondering what I need to do to be prepared, or if I’m ready to do what it takes to be prepared. I think about it for others, especially those whom God has put in my care as their priest, father confessor and friend. For a long time now I’ve been aware of just how impermanent life is. “For a long time now,” means that there was also a good portion of my life when I was either ignorant of or in denial of life’s impermanence. I would partially attribute my naïveté to a beautiful family upbringing and the sense I was given that, “the way things are is the way things would always be.” I lived in the same house for my entire youth, (where my mother still lives – even now, just a few blocks away), I attended one grade school and one high school, our extended family gathered weekly for “any ol’ reason,” my father worked at the same job for 37 years, my parents were married for 42 years when my father died and they maintained many childhood friendships, with Mom still holding dear her friends of 60-70 years. Truthfully, I would consider it a blessing to be able to give my own son at least some sense of this blessed permanence. Reality does set in, inevitably, when change occurs, coloring the construct of our thoughts. But I have to admit that sometimes my earlier formations, though in so many ways were blessed, are even still today difficult to overcome. 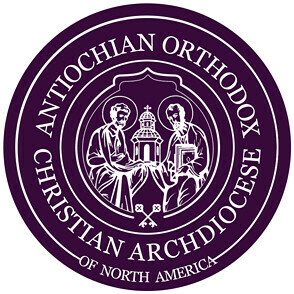 I consider this topic because of the approaching Great Lent and the journey we as Orthodox Christians are preparing to make, entering again into our Lord’s death and resurrection; more than just a symbol of eternity this journey is the encapsulation of Truth – the Truth that our eternal God has created for nothing less than eternity, and we, His beloved, were created for it. What compelled St. Peter of Damascus to write the above? According to the Prologue of Ochrid, this St. Peter (commemorated Feb. 9) spoke out strongly against Islam as well as the Manichean heresy. For this the Arabs cut out his tongue and exiled him, where it is said God continued to give him the power of speech and the blessing of bringing many to the Christian faith before dying as a confessor and martyr. St. Peter’s entire life exhibits urgency for faith and the readiness to abandon all worldly cares – even life itself – for the sake of the eternal Kingdom of God. Shakespeare’s “Me thinks thou doth protest too much” often comes to mind when I discuss (more often argue) the world’s influence upon our lives, especially but not exclusively with our youth. It may not be easy to hear but I have no doubt that we are as “frogs in the pot” while the temperature of the culture heats up around us. Excessive political correctness, affirming alternate lifestyles, muddied moral standards, infatuation with entertainment and pop-culture, supporting the choice to kill the innocent, and an increasing dependence on politicians to define fairness are just a few of the issues of our time that confuse (distract) even Christians.